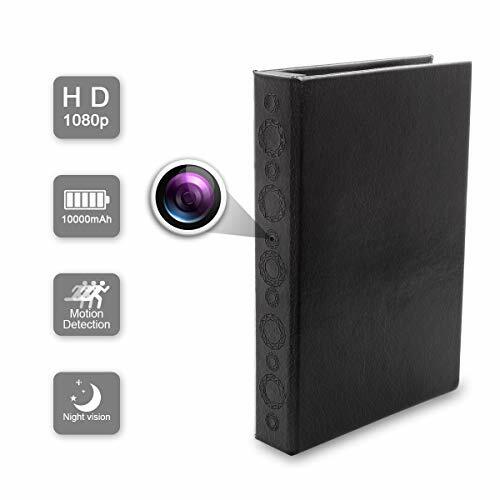 The spy book camera produced by Conbrov, is a great way to record your surroundings without the need of a full sized camera. This way you can record areas without anyone knowing that there is a camera there. 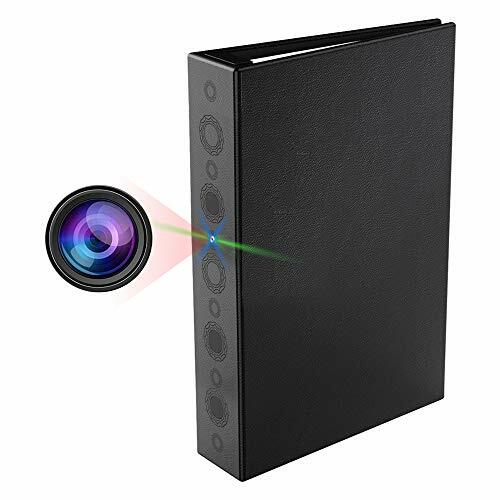 Unlike conventional security cameras which can stand out easily, this book camera can easily be placed in a bookshelf or rest on a table without arousing suspicion. With a 24 month standby when using the motion-activated recording, it is the ideal security feature for your home, especially for use indoors. 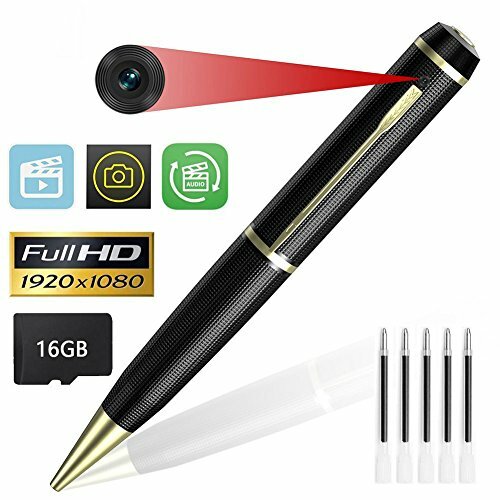 It is extremely light and portable, this means that you can record anything, anywhere and at any time. With a simple to operate recording feature, it is as simple as flicking on switch to start recording instantly, or flicking the switch again to set it to motion-activated recording instead. It has night-vision capabilities of up to 10 feet away and the motion detection can be triggered from up to 20 feet away. 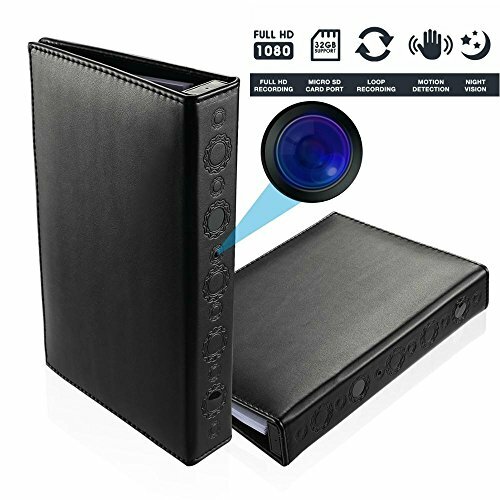 The main features of the Conbrov DV9 is that it is styled to look like a regular book, this makes it ideal to place on a bookshelf or work-space without arousing an suspicions that it is recording. It has 1080p recording capabilities at 30 frames per second, which means you not only get a clear image, but there is a high number of frames captured, meaning you can get a much clearer stop frame when looking into incidents which have been recorded. With a built-in 10000mAh battery, it is able to record continuously in the daytime for 30 hours, when it comes to night-vision the Conbrov DV9 will be able to record for around 10 hours continuously. If you are worried about storage space, then the audio can be turned off and the recording can be setup to loop, so that each recording is removed and replaced with a new recording after so many hours. Light weight, making the whole product portable and easy to setup anywhere. Easy to operate, with a simple flick of a switch you can choose to record either continuously or motion-activated recording. 1080P/30FPS, gives a high quality and clear image, perfect for when incidents occur. Loop Recording, allows for consistent recording without using up a huge amount of storage space. Max Micro SD storage is 32GB, if you are looking to record and store for a long time, then this can be a downside to this product. Low amount of recording hours whilst using night vision. 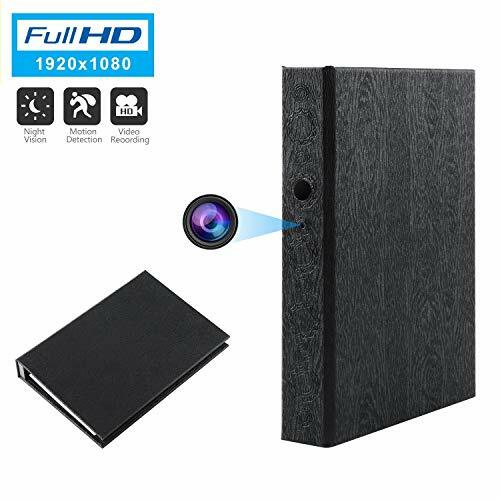 Having taken a look over the customer reviews of this product and our own personal opinion, we believe that the Conbrov DV9 HD Book Camera, is a great fit into anyone's home. With it's discrete look and lightweight design, you can either take this everywhere with you or just simply place it into a bookshelf. 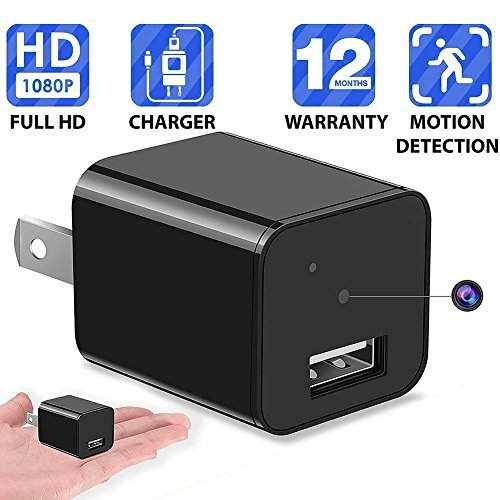 We love that it can record in 1080p as this is where many of the other spy cameras fall down, because of their low quality it is impossible to tell faces as they are often too pixelated to enlarge. Together with the continuous looping feature, it is possible to leave this recording non-stop, of course until the battery needs charging, without using up a huge amount of storage space on your SD card.